In this step, you will learn how to print a model diagram. 1. Click the Print button on the toolbar, or select the File menu and choose the Print… option. This dialog behaves like a standard Windows Print dialog. 2. 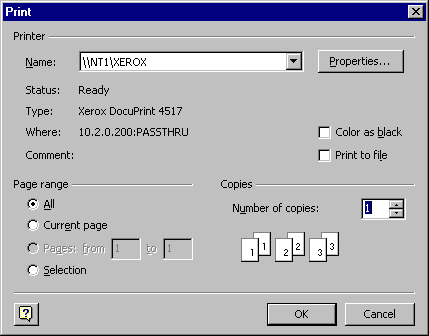 Select the printer to which you wish to print by using the drop-down box at the top of the form. 3. Press OK to print the model. 4. Close the model. Do not save your changes.